2018 belonged to China's youngest generation. It marked the year when the first batch of Chinese born after 2000 entered adulthood and university. China's generation Z, or linglinghou (post-millennials) coined in Mandarin, is a hot topic in the local media. Finding out more about them means getting a glimpse of China's future through the people that will increasingly shape the country. But what makes them different from their preceding generations? Metropolitan headed out to Xidan, Beijing's shopping paradise and favorite teenager hangout, to find out how China's urban post-millennials tick. While former generations focused on academics during their teenage years, this generation seems to fall in love at an early age. Gan Caijia, a 15-year-old, counts herself among those with the most rich dating experience in her class, despite still being in middle school. "There's nothing bad about dating a lot," she said. "People who have no relationship experience before marriage are bound to encounter a lot of problems." Xiao Jianqi, a 17-year old, who goes to a high school affiliated to the Central Academy of Drama, dates a girl from the same school. He said that the social environment plays a big factor in why dating starts early. "When everyone already has a girlfriend, there's a lot of pressure to get one too," he said. He sees no issue in it as long as it wouldn't have a negative impact on his studies. Guo Xiai, a 16-year-old, who goes to a professional college, thinks it's very normal to have a crush on the most "outstanding" boy in the class. "I am jealous about the girls around him and I want to be the one to shine next to him," she explained. However, the teens admitted that parents and school officials would worry if they found out about their active love life. "My mother is not against dating, theoretically, but doesn't actively support it," 16-year-old Zhang Ziyao said. "But if I have a boyfriend, my mother will not be happy, and my teachers will also oppose it." There's no need to rebel or break free for a young generation that gets the liberties fed to them on a silver spoon by their parents. On Baidu Baike, China's Wikipedia-like website, the post-millennials most recognizable characteristic is their materialistic freedom. Encouraged to focus on getting good grades, and no part-time jobs, the parents of the post-millennials provide for their children's free time spending. Xiao receives 3,000 yuan of "living fees" from his parents each month, which he mostly spends on shoes and clothes. 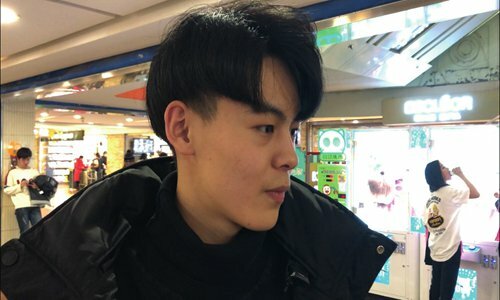 In addition to that, his parents support him financially for his many hobbies: Chinese calligraphy, ice skating, skiing, and playing golf. With that much disposable income, he may belong to the minority of his peers. But others also do not have to worry that their teenage dreams not being complete. "Whenever I want something, I will talk to my parents. When they think it's reasonable, they will buy it for me," 16-year-old An Jiayu said, who enjoys listening to music on high quality earphones - a passion she shares with her father. Zhang said that her parents will only give her money for lunch, but what's left of it, she uses as pocket money. Some post-millennials have also started to seek their own financial freedom. 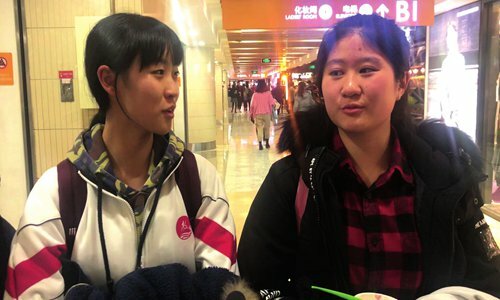 Gan makes a few hundred yuan online as a video-selling agent, and Guo said that it's common among her classmates in colleges and universities to get a side job, such as washing dishes at McDonald's. The post-millennials interviewed agreed on one word describing their generation best: freedom. "We have our own way of thinking," Gan said. "We do not follow our parent's and teacher's ideals." However, when it comes to their plans for the future, most youngsters seem to be willing to listen to their parent's suggestions. Duan Xinxing, a psychology professor focusing on youth development at the China University of Mining and Technology, told Metropolitan in a previous report, "The post-millennial generation are young people who are being encouraged by their parents to grow up faster, and their parents have high expectations for them. Many of the post-millennial generation believe that they should be preparing for life as early as possible." Gan prepares to enter high school and pass the national college entrance exam gaokao, to be able to study in the US or Australia in the future. Even though she likes the thought of living abroad, she thinks that she will move back to China to be with her parents when they are older because they would not like to see her immigrating to another country. Guo is studying to become a pharmacist to please her mother, despite her own wish of becoming a makeup artist. Xiao entered the Central Academy of Drama's high school thanks to his parents, and his dreams of studying art or business in the UK are also shared by his parents. "There's no conflict of interest. I can be free and I want what my parents want for my life at the same time," he said.